Strudel is one of the Pound Puppies, I have two dachshunds so I had to pick one and she is just perfect!! 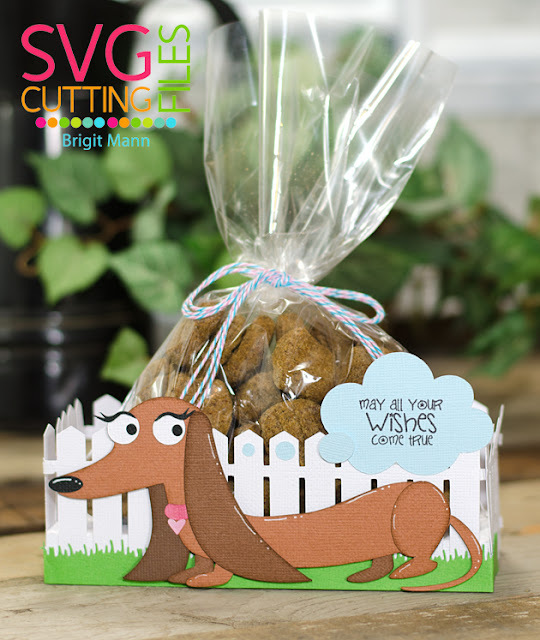 I used the Fence Platform Box and added some doggie treats. Both the grass and sentiment is from Jaded Blossom. 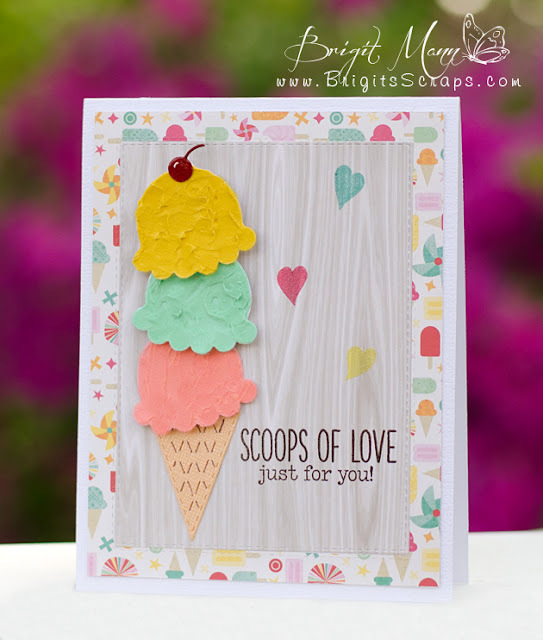 Hop on over to Barb's Blog and see what she has made for us!! This set is on SALE through the end of this month! and I have a scrapbook page to share of my adorable doggies! I'm really not much of a scrapbooker but it's fun once in awhile to work on one. 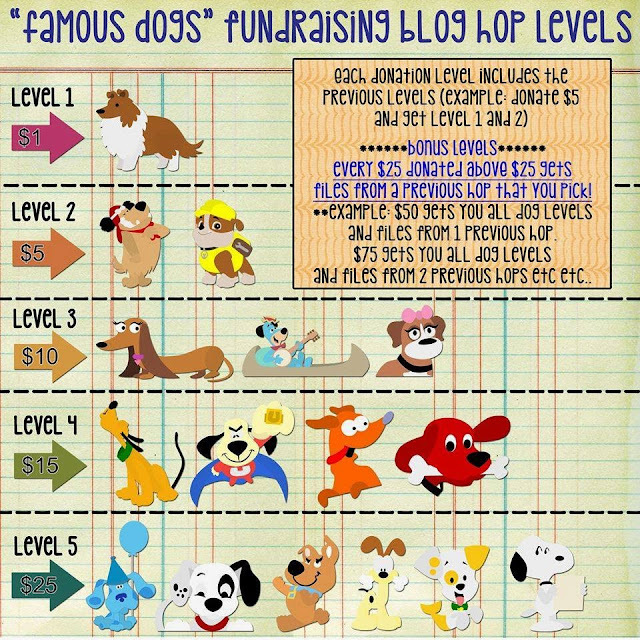 This page is 8 x 8 using Echo Parks Woof mini theme digital paper. 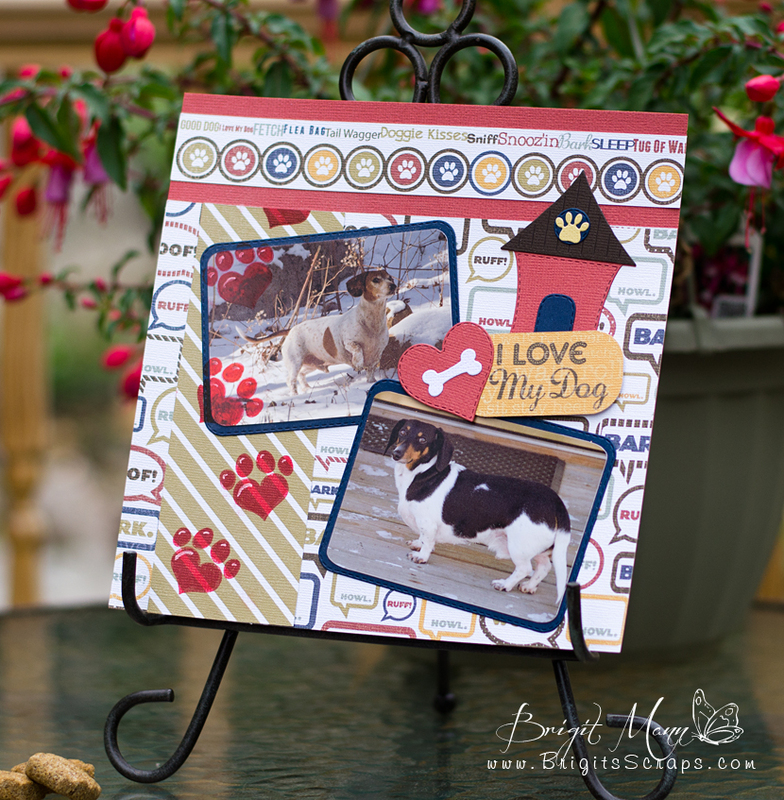 The used the 3x4 stitched journal die for the photo mats and the paw prints and dog house from the loyal friends set. The heart is from the heart 2 heart love frame set. Those cute little doggies are my babies Freckles and Gustav!! Welcome to My Creative Time 43rd Release Blog Hop!! Thank you everyone for the wonderful comments all week long!! These new sets are all just adorable, loved making all the projects this week! I used the set to make a tag for a birthday gift bag, I just love the cupcake stamps and dies!! 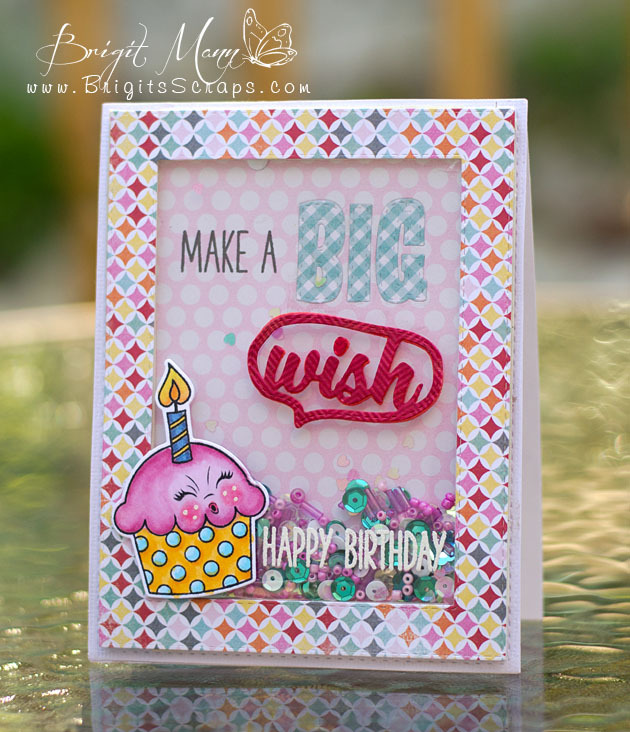 The confetti background on the tag was created using the polka dots from the Build A Banner set. 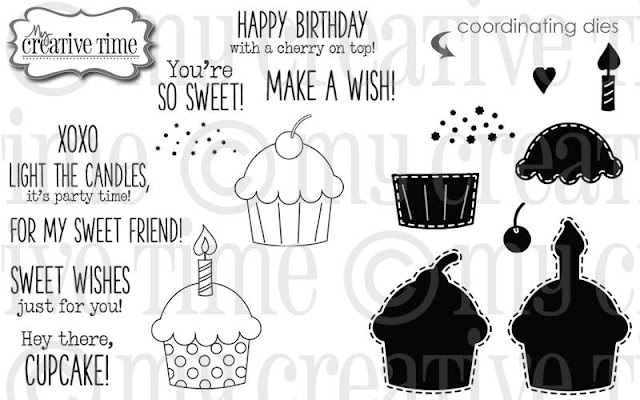 For our "Freebie" stamp for this release, we are giving away this ADORABLE stamp "Sweet Wishes" to the FIRST 150 shoppers! You do NOT have to add it in your cart, Emma & her shipping crew will automatically include it in your pkg, ONLY to the first 150 shoppers! IF you happen to come through AFTER the 150th shopper, no worries because this stamp will be available for sale! Emma, knows there will be questions on whether YOU made the first 150? AFTER the 150 shoppers come through, then you will see this set available for PURCHASE along w/the new release items! Just keep in mind, this stamp will not be included w/the bundle! It will be sold separately! 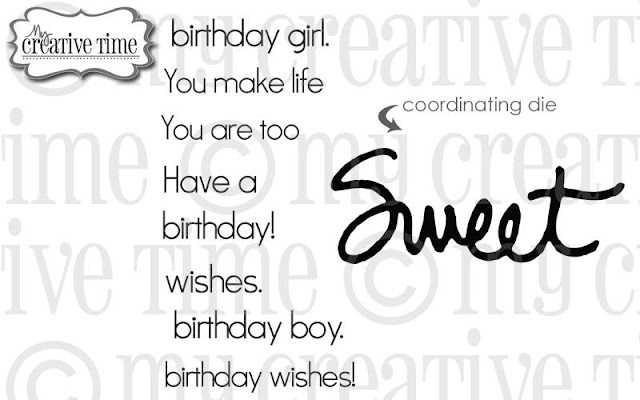 ALSO, DON'T FORGET our sale starts RIGHT NOW here: http://shop.my-creative-time.com/New-Release_c40.htm! Use the code: MAY2015 to receive a discount off your entire purchase! This sale applies to "IN-STOCK" items ONLY. This sale will end on Friday, May 22nd @midnight PST. 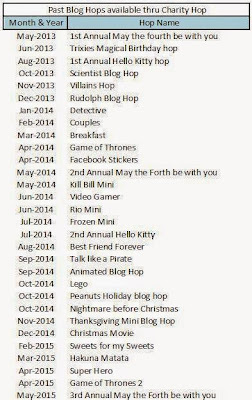 Friday, May 15thMCT 43rd Edition Release Blog Hop! 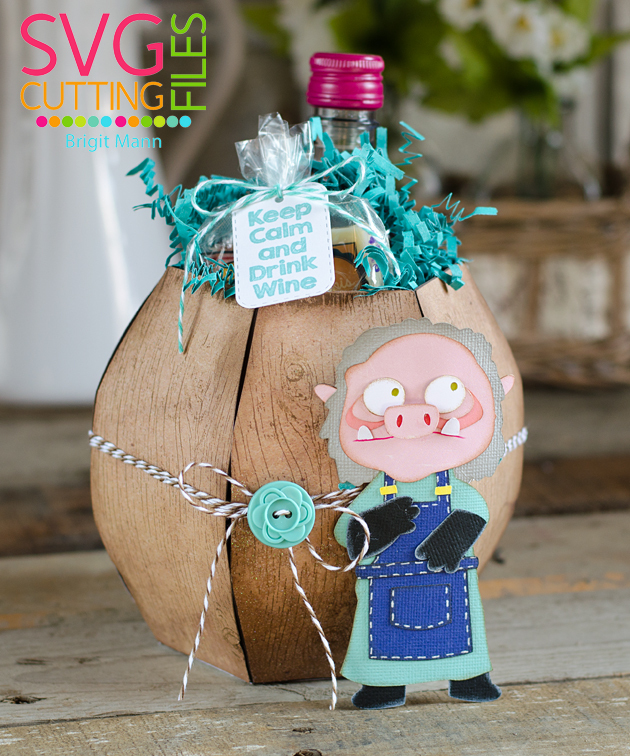 Hop on over to Miss Cindy's Blog to see what she has created for us!! A new challenge starts today!! using files from SVG Cutting Files as your main focus. at our Facebook Group's Teacher/Grad Challenge Album, HERE. It's Day 4, we are getting closer!! 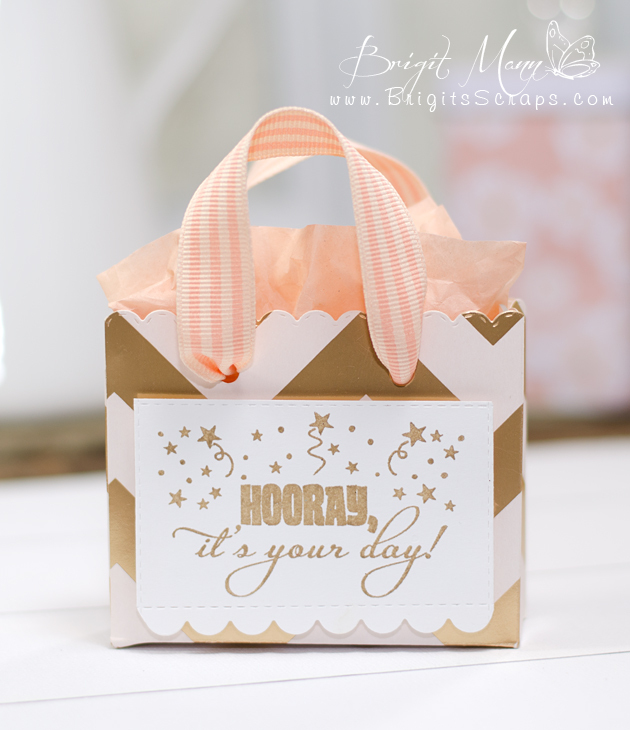 Love the bag die in this set and the sentiments that go with it are awesome!! 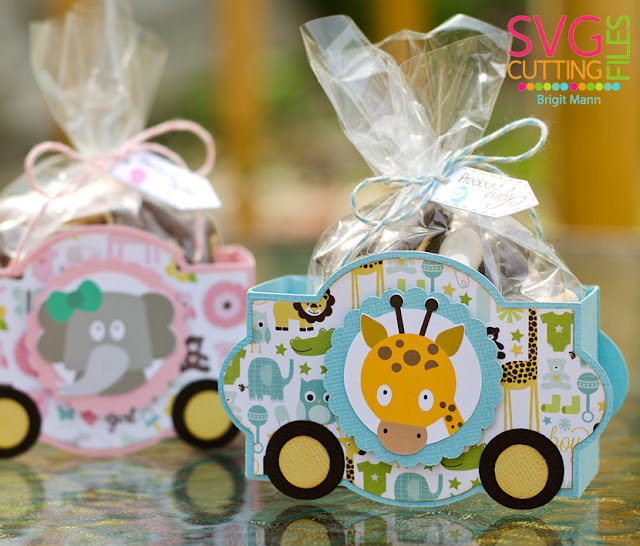 This is so perfect for some candies and a gift card, who wouldn't want to receive a little special bag of goodies! Another day of awesome sneaks from MCT's 43rd Release!! 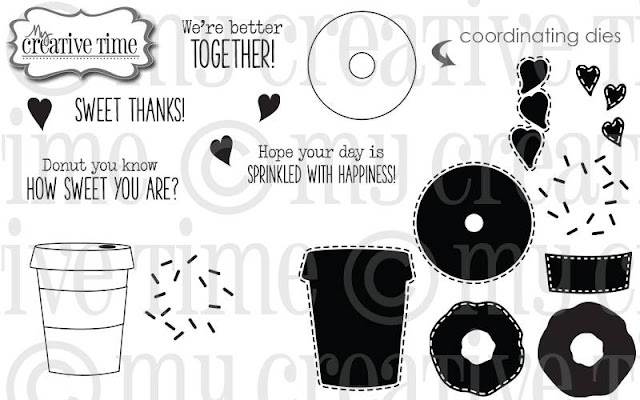 You Make Life Sweet Stamp and Die set! What a fun set this is, love the ice cream cones and scoops. I used some Ranger Texture Paste mixed with three of the newer distress ink colors. Welcome Back to My Creative Time's 43rd Release! 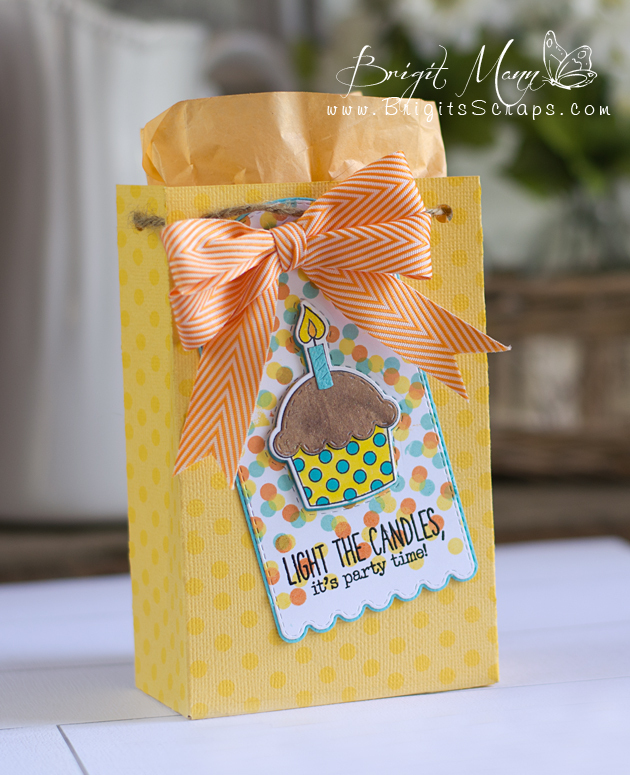 Light the Candles Stamps and Dies! 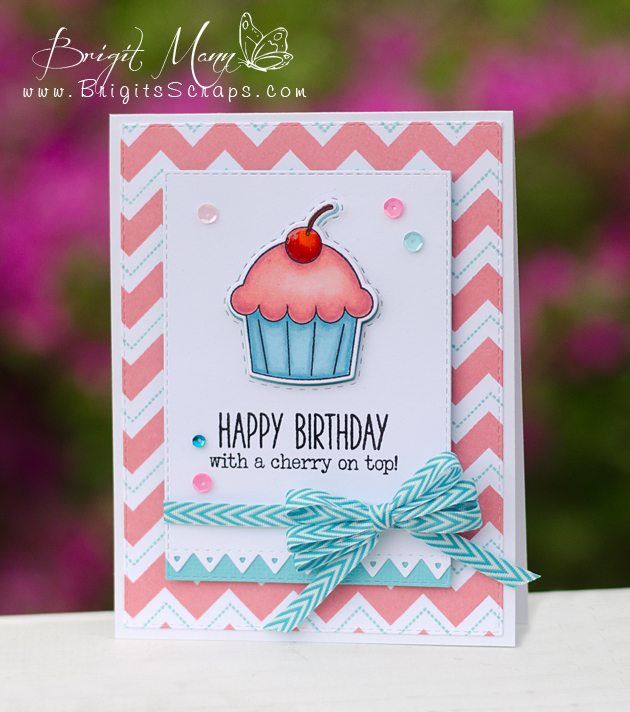 Who doesn't love cupcakes, this release is definitely a must have for birthdays!! 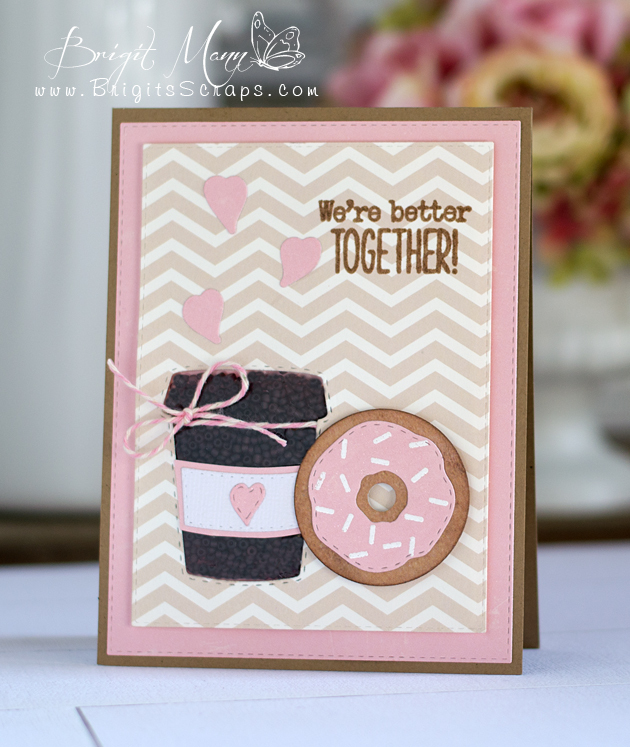 I love how the background came out using the Build A Chevy Background stamp set, so fun making it!! 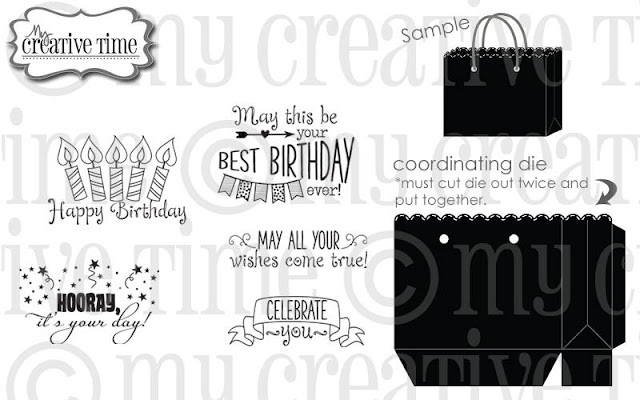 Welcome to My Creative Time's 43rd Release! First is the adorable donut and coffee from Better Together. This set has both stamps and dies, I cutout the coffee with the die and used my new WRMK Fuse and filled a pouch with some dark brown beads to make it look like coffee beans. 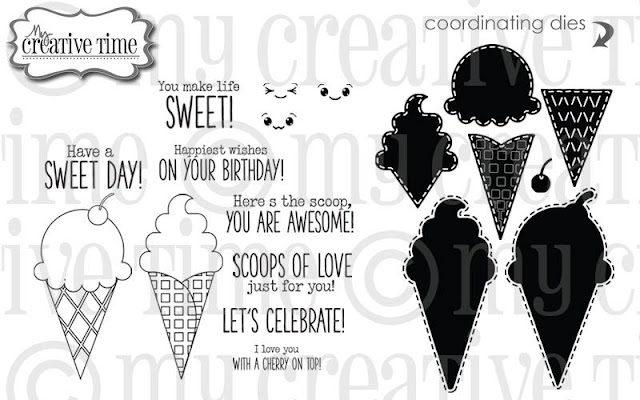 The sentiment and sweet die cut are from the freebie Sweet Wishes, this set will be free for the first 150 shoppers on release day. It's What a Treat Wednesday over at MCT. 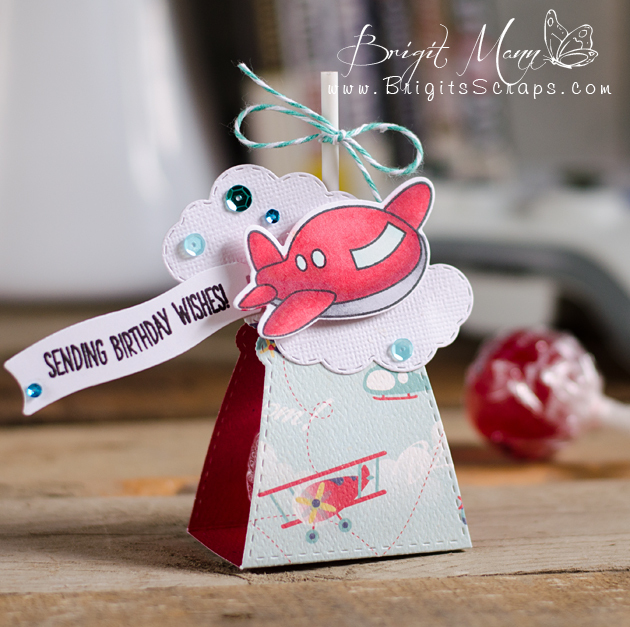 I made a cute lollipop treat holder perfect for a little boys birthday!